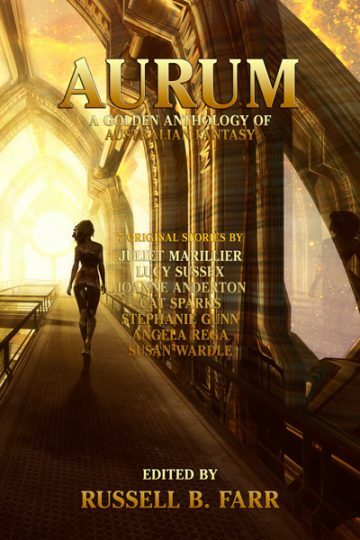 Aurum, published by Ticonderoga Publications and edited by Russell B. Farr is an anthology of seven original novellas from Australian writers. I'm very happy to say that my novella, 'With this Needle, I Thee Thread" is part of the collection. The line up includes the awesome Juliet Marillier, Lucy Sussex, Joanne Anderton, Cat Sparks, Stephanie Gunn and Susan Wardle.